Queensland-based munitions company NIOA has taken on two ADF interns to provide next-generation training support and offer a glimpse of how the defence industry works. Leading Australian small arms and munitions manufacturer NIOA has partnered with the Department of Defence to provide ADFA cadets with exposure to the defence industry, nurturing relationships and building bonds that benefit both sides of Australia's defence and national security apparatus. Pilot Officer Nathan Widdup is currently in his fourth-year studying mechanical engineering at the Australian Defence Force Academy. Once he graduates, he will commence work as an Armament Engineer in the Royal Australian Air Force. Pilot Officer James Kuang is currently a fourth-year student studying a Bachelor of Aeronautical Engineering at UNSW Canberra. As an Air Force engineer, PLTOFF Kuang will need to actively and effectively engage with defence industries. While studying, both Pilot Officers are undertaking six weeks of work experience at NIOA, where they are working in support of several current weapon and munitions projects. Learning about military issues and structure through discussions with interns. By partnering with NIOA, interns also gather an understanding of how engineering is undertaken in industry as opposed to Defence. They gain understanding on how Defence policy and decisions influence industry on a daily basis and it provides knowledge to assist their decision making process when they have future dealings with industry. NIOA is an Australian-owned company and one of the largest suppliers of munitions to the Department of Defence. 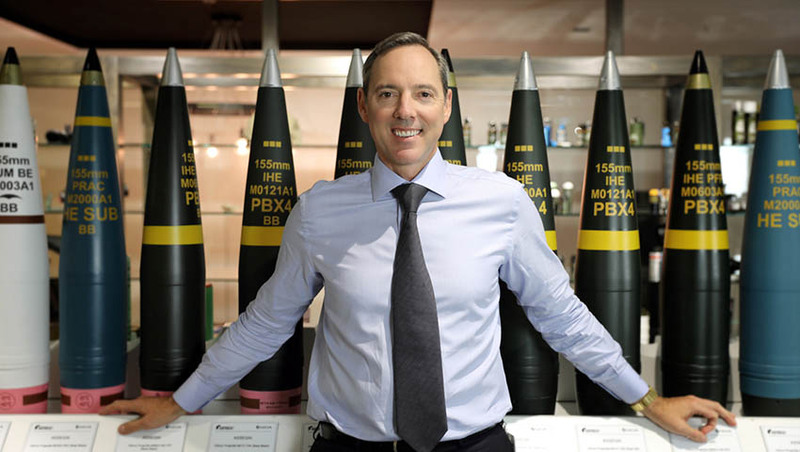 The company has partnerships with many of the world’s leading munitions manufacturers, including Rheinmetall Waffe Munition, Northrop Grumman Innovation Systems (previously Orbital ATK), Vista, Day and Zimmerman, Junghans, and Nitrochemie. NIOA supplies and supports a wide array of small arms, medium calibre and large calibre munitions, special function grenades and pyrotechnics, and leading-edge pistol systems, small arms, sighting systems and carriage solutions. NIOA facilities are unique in Australia and provide specialised services and products to Defence and law enforcement agencies across Australia and New Zealand.